Wirehouse UBS has sent a mea culpa of sorts to its brokers about including clauses linking their bonuses to non-solicitation requirements, according to news reporting. In February, the wirehouse added language to its brokers’ 2017 bonus agreements requiring them to refrain from soliciting clients for a year after leaving the company’s U.S. wealth management business. But not everyone was convinced UBS would not try something similar. This Monday, however, Brian Hull, head of UBS wealth management USA, spelled out the company’s intention to avoid linking bonuses to non-solicit clauses now or in the future, InvestmentNews writes. "As you know, earlier this year we inadvertently introduced new non-solicit language to the 2018 [strategic objective bonus] without proper senior management review," Hull said in memo also signed by Jason Chandler, co-head, investment platforms and solutions and sent to UBS’s 6,900 advisors, according to the publication. “We listened and, based on advisers’ feedback, we rolled back the changes" and will not introduce them at this time and are likely not to in the future, Hull wrote, according to InvestmentNews. The company was likely responding to brokers who made it clear they would not sign such an agreement, industry recruiter Louis Diamond tells the publication. Indeed, Hull’s memo says that the wealth management’s leadership listened to its brokers because it strives for “openness” and encourages “dialogue and creating a culture of transparency and accountability,” the publication writes, citing the memo. 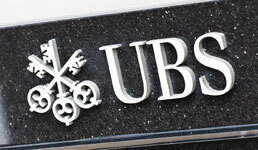 A UBS spokesman declined InvestmentNews’ request for comment, however.